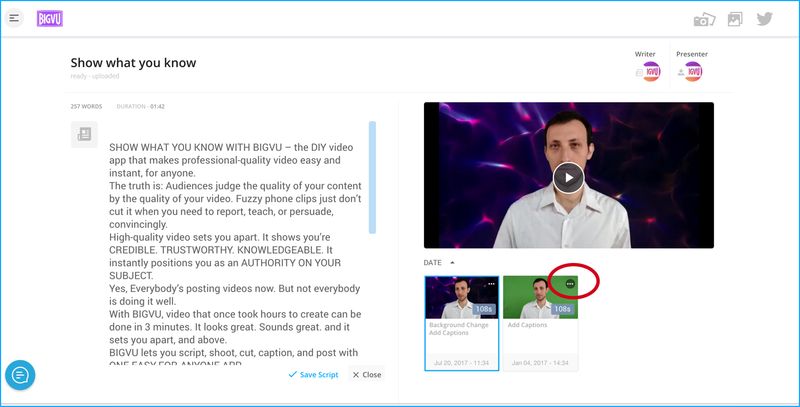 Change your video’s orientation to vertical, horizontal or square. Boost the audio or add low-level background music. Add lower 3rd titling and a logo. If you used a Green Screen make sure that you change your background first (Click "I used a green background"). For more information about change background click here. If you did not use a green screen select "I didn't use a green background". Select your story and video take. You’ll find each take you have uploaded from the mobile app. 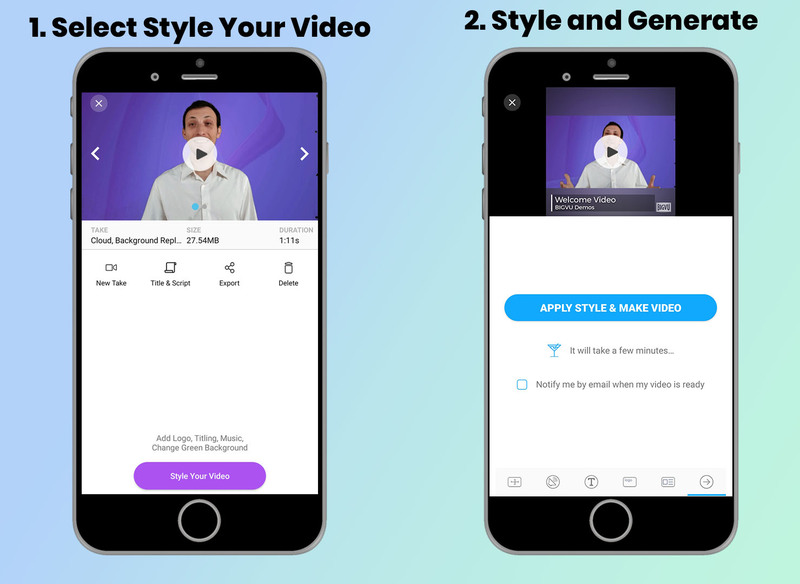 Click the three dots and select Style Your Video. After Styling Your Video, you can't do Change Green Screen. If you are planning to change your background, do that first, and Style Video afterwards. 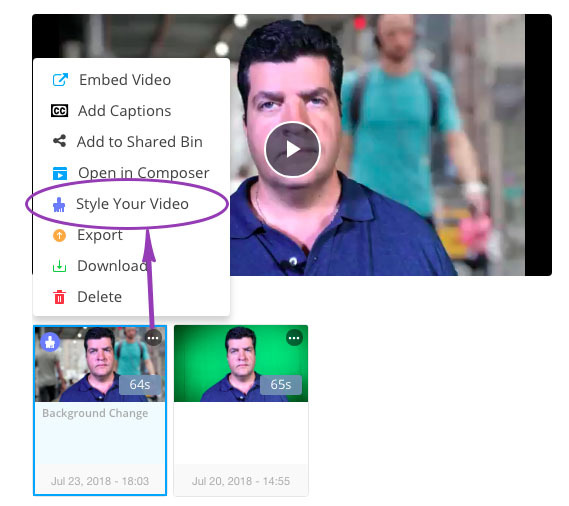 Please Note: You can't edit a video that finished styled video. If you wish to change the styling or background, go to the original take and re-do the process. How to change the green background of my video?